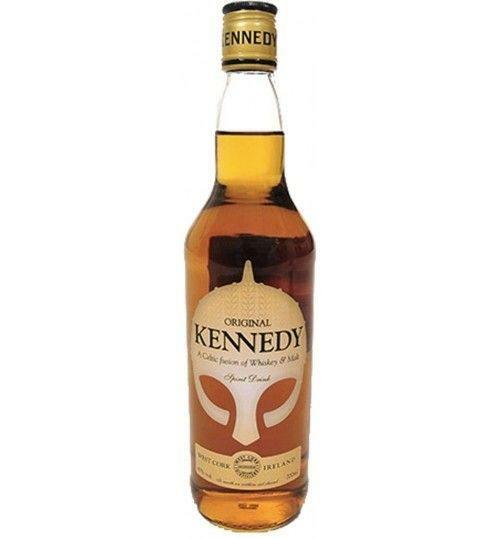 The West Cork Distillers Whisky Kennedy Original is a Whisky obtained from a delicate fusion of Whiskey and Malt. It is left matured in oak barrels previously used for Bourbon. It is smooth and clean but, at the same time, it keeps a lively and distinctive character. 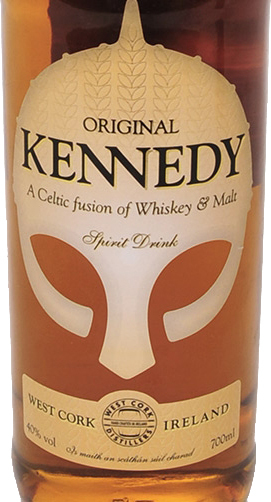 THE WHISKY The West Cork Distillers Whisky Kennedy Original is a Whisky obtained from a delicate fusion of Whiskey and Malt. It is left matured in oak barrels previously used for Bourbon. It is smooth and clean but, at the same time, it keeps a lively and distinctive character. THE DISTILLERY The Irish city of Cork, among other things, is known and renowned as the city where the culture of Whiskey was born in Ireland. Beyond this, the Cork region is particularly famous and appreciated for the numerous Irish-made Food & Beverage productions. In 2008, the " West Cork Distillers " was founded in Skibbereen, a small town in County Cork. Established by three friends, two of them previously engaged in deep-sea fishing, today, the West Cork Distillers, a few years after its birth, is one of the few independent Irish distilleries that has been able to produce Whiskey from more than excellent quality. Tasting Color: Amber color Aroma: scents of malt, spices and essential oils, with vanilla and woody notes Flavor: Reflects the smell and in persistence emerge clean aromas, which recall vanilla and burnt sugar. The Irish city of Cork, among other things, is known and renowned as the city where the culture of Whiskey was born in Ireland. Beyond this, the Cork region is particularly famous and appreciated for the numerous Irish-made Food & Beverage productions. In 2008, the "West Cork Distillers" was founded in Skibbereen, a small town in County Cork. Established by three friends, two of them previously engaged in deep-sea fishing, today, the West Cork Distillers, a few years after its birth, is one of the few independent Irish distilleries that has been able to produce Whiskey from more than excellent quality.